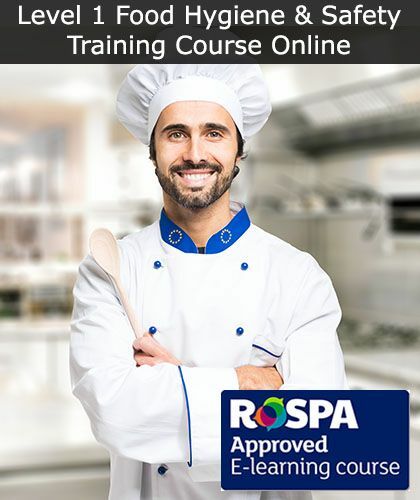 RoSPA approved Level 1 Food Hygiene and Safety Online Training Course available from just £7.50 per course. You can earn your food hygiene and safety certificate for Level 1 training as specified by the CIEH. Complete your course online and instantly download your certificate on successful completion. Food Safety Online Training Courses available from just £7.50 per course. 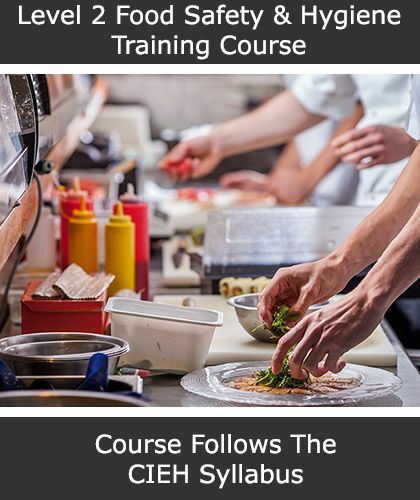 You can earn your food safety training certificate in just 90 minutes with this comprehensive online course which follows level 2 of the CIEH syllabus. Start your online food safety course today. 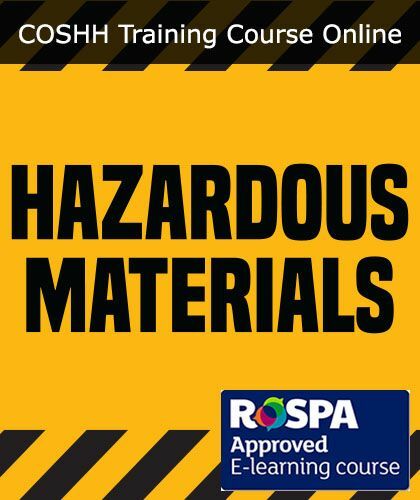 Our RoSPA-approved online COSHH training course provides an overview of what hazardous substances are and how to work safely with them. This COSHH training course is recognised by major client, contractors and all SSIP Schemes such as CHAS, SafeContractor and ConstructionLine. Start your online COSHH training course today - from only £7.50. Disciplinary and Grievance Procedures Online Training Courses available from just £7.50 per course. You can earn your disciplinary and grievance procedures training certificate in just 10 minutes with this comprehensive online course. Start your online disciplinary and grievance procedures course today. 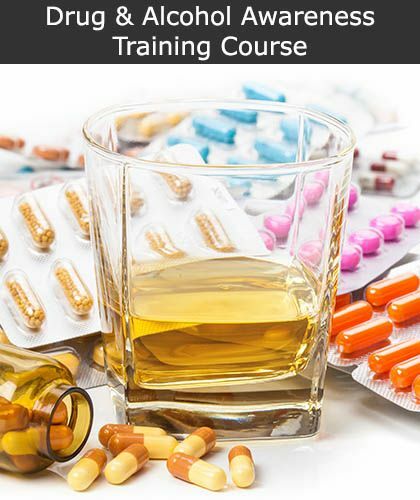 Alcohol and Drug Awareness Online Training Course available from just £7.50 per course. You can earn your alcohol and drug awareness training certificate in just 20 minutes with this comprehensive online course. Start your online alcohol and drug awareness course today. 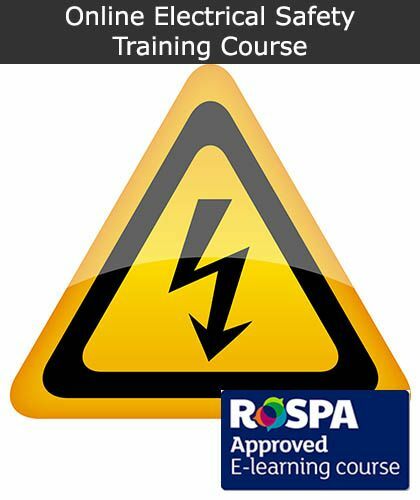 This high quality online electrical safety training course is approved by RoSPA and designed to encourage the safe use of electricity within the workplace. This electrical safety course is recognised by major contractors, clients and all SSIP Schemes such as CHAS, SafeContractor and ConstructionLine etc. Start your online electrical safety course today. 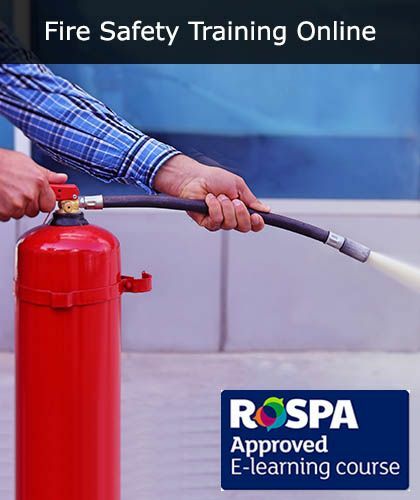 Make sure that your appointed Fire Marshal is aware of their duties and what actions to follow in the event of a fire with our RoSPA approved Fire Marshal Training Course. 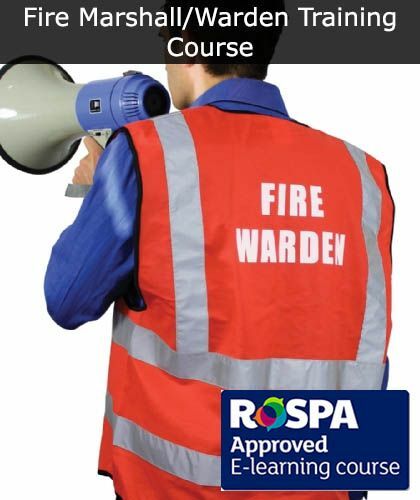 Fire Marshal/Warden Training Online Courses available from just £7.50 per course. Start your online fire marshal training today. An online Fire Safety E-Learning Training Course designed to deliver information about Fire Safety quickly and effectively. 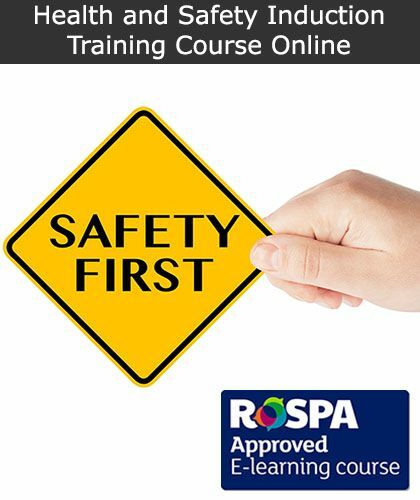 This RoSPA approved online course is recognised major clients, contractors and all SSIP Schemes such as CHAS, SafeContractor and ConstructionLine. Health and Safety Induction for Young Workers Online Training Courses available from just £7.50 per course. 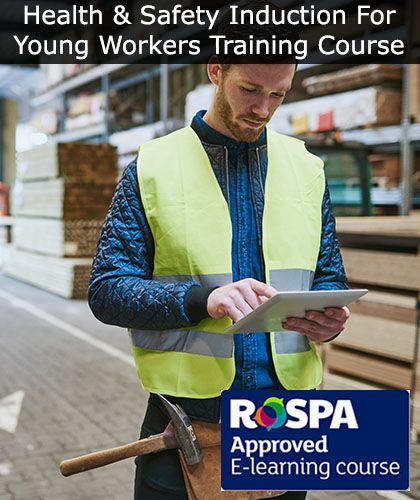 You can earn your health and safety induction for young workers training certificate in less than an hour with this RoSPA approved comprehensive online course. Start your online health and safety induction for young workers course today. Online Health and Safety Induction Courses available from just £7.50 per course. This employee safety induction training course is aimed at introducing new starters to the Health and Safety policies and procedures. This RoSPA approved course is recognised by major clients, contractors and all SSIP schemes such as CHAS, SafeContractor, ConstructionLine, EXOR etc. Start your Health and Safety Induction Training today. Online Health and Safety Training for Managers available from just £7.50 per course. 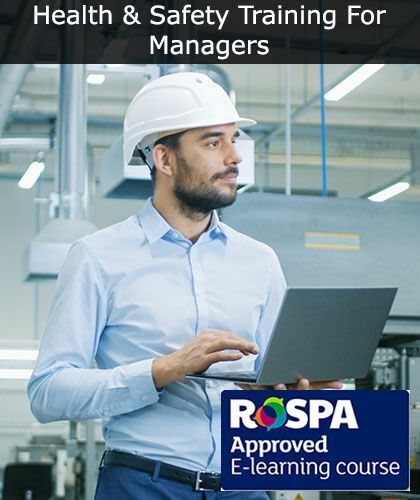 This RoSPA approved e-learning course is designed to introduce managers to their safety obligations and responsibilities when supervising the employees that report to them. In just 35 minutes, managers can be fully trained in health and safety with a certificate to prove it. Start your Health and Safety Training for Managers today. 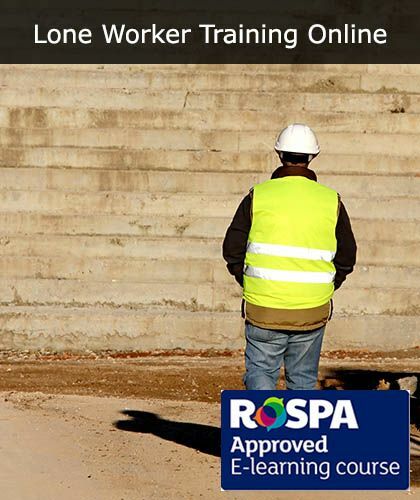 Lone Working Training Courses approved by RoSPA and available from just £7.50 per course. Lone Workers are vulnerable due to the nature of working alone and so any accident or mishap, however minor, can quickly turn into a severe issue. It is in the best interests of lone workers to ensure that they fully understand health and safety procedures so they can adequately keep themselves safe. Start your lone worker training online today. New and Expectant Mothers Online Training Course available from just £9 per course. You can earn your training certificate in just 35 minutes with this RoSPA approved, comprehensive online course. Start your online new and expectant mothers course today. 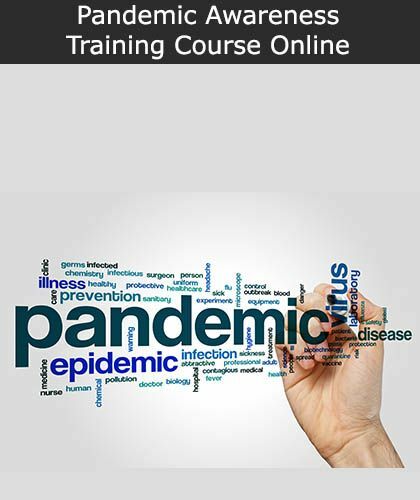 Pandemic Awareness Online Training Courses available from just £7.50 per course. You can earn your pandemic awareness training certificate in just 20 minutes with this comprehensive online course. Start your online pandemic awareness course today. 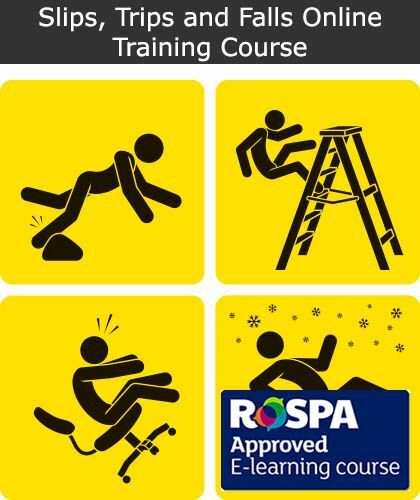 RoSPA approved online E-Learning Slips, Trips and Falls Training course available from just £7.50 per course. This high quality online slips, trips and falls training course is designed to heighten employee awareness of how easy it is for an accident to occur at work as a result of a slip, trip or fall. This course is recognised by major contractors, clients and all SSIP Schemes such as CHAS, SafeContractor, ConstructionLine and EXOR. Start your online slips, trips and falls training course today. Please find listed below the various Online Food Safety and Catering Training Courses. All of our Online Health and Safety Courses are delivered via the Internet enabling them to be completed at time of your choosing. All of our courses are compatible with Tablet based devices including IPad's and Android based tablets.